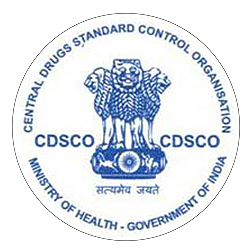 The Central Drugs Standard Control Organisation (CDSCO) is under Directorate General of Health Services, Ministry of Health & Family Welfare, Government of India and the National Regulatory Authority (NRA) of India. I am disscused here Explore new openings in Pharma profession by making yourself skilled as Technical associate in The Central Drugs Standard Control Organisation (CDSCO). Introducing Myself, I am Debarati Bhattacharyya (Kundu), a former M. Pharm from Jadavpur University. Few years back, like all other Pharma job aspirants, I was also in hunt of suitable job position in Pharma field after successful completion of my Post graduate degree. Though, in our study years of B. Pharm and M. Pharm we get acquainted with Pharma laws and regulations theoretically, but it’s a much vast field of exploration and rather I can say its’ beyond our imagination. Like every other Pharma student, I had heard about Drug Regulatory bodies functioning in India and also names of bodies all over world but never bothered to know in details about their functioning. This quench for knowing more on them, drive me to apply to work in CDSCO in a mere technical associate position which is a contractual position exclusively for M.Pharm post graduates. 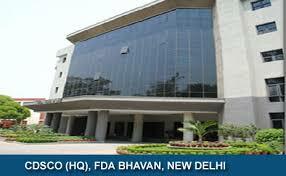 Luckily, my job location was allocated in the headquarters of CDSCO also known as FDA Bhawan, New Delhi. It’s the office of the Drugs Controller General of India with Deputy, Joint and Assistant Drug Controllers working for all states of our country India. Though on visiting the site of CDSCO (https://cdsco.gov.in), one can gain knowledge on its working but still briefly I am giving an overview of it for easy understanding of my fellow Pharma friends. The Central Drugs Standard Control Organisation (CDSCO) is under Directorate General of Health Services, Ministry of Health & Family Welfare, Government of India and the National Regulatory Authority (NRA) of India. Its headquarter is located at FDA Bhawan, Kotla Road, New Delhi and also has six zonal offices ( North Zone, Ghaziabad, South zone-Chennai, East zone-Kolkata, West zone-Mumbai, Hyderabad and Ahmedabad), seven sub zonal offices (Bangalore, Varanasi, Goa, Baddi, Indore, Jammu and Guwahati), thirteen Port offices and seven central drug laboratories spread across the country. The Drugs & Cosmetics Act, 1940 and rules 1945 have entrusted various responsibilities to central & state regulators for regulation of Drugs & Cosmetics. It envisages uniform implementation of the provisions of the Act & Rules made there under for ensuring the safety, rights and wellbeing of the patients by regulating the quality of the medical product manufactured, imported and distributed in the country. 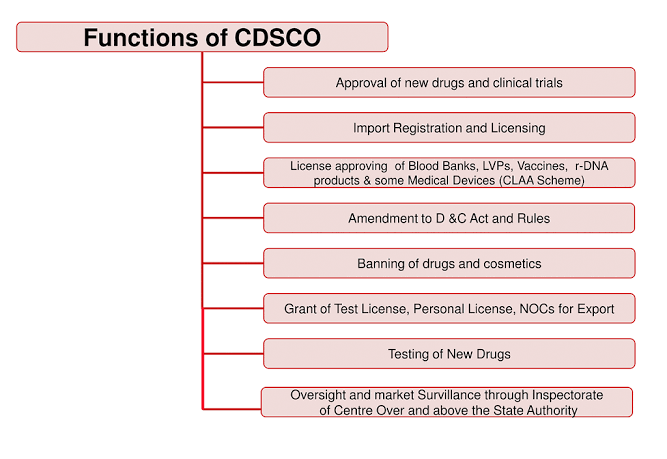 CDSCO is reliable for approval of Drugs, Conduct of Clinical Trials, laying down the standards for Drugs, control over the quality of imported Drugs in the country and coordination of the activities of State Drug Control Organizations. Further CDSCO along with state regulators, is jointly responsible for grant of licenses of certain specialized categories of critical Drugs such as blood and blood products, I. V. Fluids, Vaccine and Sera. Demonstration of safety and effectivly of the drug product to be use in humans is crucial before the drug product can be approved for import or manufacturing by Central Drugs Standard Control Organization. The rules underneath drugs & Cosmetics Act 1940 and its rules 1945, 122A, 122B & 122D and additional Appendix I, American state & VI of Schedule Y, describe the knowledge needed for approval of an application to import/ manufacture of recent drug promoting.Through the International Conference on Harmonization (ICH) process, the Common Technical Document (CTD) guidance has been developed and CDSCO has also decided to adopt CTD format for technical requirements for registration of pharmaceutical products for human use. So, whenever any pharmaceutical company approaches with the reent drug approval process, CDSCO scrutinizes it in regards of valid NRA documents and then DCG(I) nods for approval. It’s technical specialists and this recommendation the central and state governments on all technical matters arising out of the management} of drug control. No rules is created by the central government while not consulting DTAB board. It’s central and state drug management officers as members. Its main operate is to make sure the drug management measures and enforce them uniformly over all the states. It’s authority to approve r-DNA pharmaceuticals products. GEAC’s role is to assess the bio-safety /environmental safety side of the biotechnological product. It’s the authority that evaluates applications of clinical trials and new drugs and their recommendations are any reviewed by Technical Review Committee (TRC). The TRC is brought about beneath DGHS consisting of specialists from every areas like clinical medical specialty, regulatory clinical toxicology/pathology, medicinal/ pharmaceutical chemistry, pharmacy and medicine together with clinicians, basic scientists, concerned in drug development and subjects specialists (drug indication-wise). CDSCO grants approval of clinical trials and new drugs supported the recommendations of TRC.